Provide comfort for the family of Haley Smith with a meaningful gesture of sympathy. Heflin - Haley Madison Smith, 18, died Thursday, April 4, 2019 at Regional Medical Center. Funeral services will be held at 5:00 PM on Wednesday, April 10, 2019, at Dryden Funeral Home Chapel with the Rev. Eric Snider officiating. Visitation will be Wednesday, April 10, 2019 from 4:00 PM until 5:00 PM. Dryden Funeral Home is in charge of the arrangements. 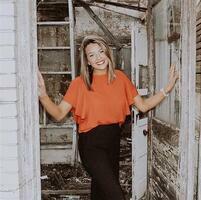 Haley was a senior at Cleburne County High School. Haley was a member of White Plains Baptist Church and employed by Papa's Pizza in Heflin. Haley was planning to attend West Ga.Tech to become an Dental Hygienist. She was preceded in death by her brother, Kaleb Smith. 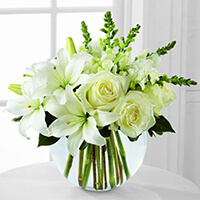 To send flowers in memory of Haley Madison Smith, please visit our Heartfelt Sympathies Store. We encourage you to share your most beloved memories of Haley here, so that the family and other loved ones can always see it. 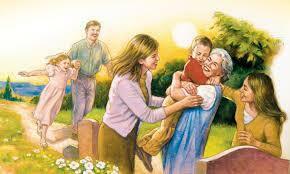 You can upload cherished photographs, or share your favorite stories, and can even comment on those shared by others. 2nd Grade Teachers at DES sent flowers to the family of Haley Madison Smith. Sending lots of love from DES. 2nd Grade Teachers at DES purchased the The FTD Special Blessings Bouquet for the family of Haley Smith.